Papillon Potpourri from Stampin' Up! One of my favorite stamp sets on the retiring list that I will greatly miss is the Papillon Potpourri stamp sets. This simply card shows off just one of the several butterflies in this set. The Softly Falling Textured Impression Embossing folder created the background for on the main panel of this card. I used Bermuda Bay for the basecard, background layer, and the ink for the butterflies. I also used the Bermuda Bay Brights Enamel Shapes on the corner of the top butterfly. The small "hello" is one of the two hellos in the Thoughtful Banners stamp set. That sentiment set includes a wide assortment of sentiments that can be used alone or as part of different banner shapes included in this set. It is one of the sets hat will carry over to the new catalog. The Stitched Shapes Framelits were used to cut the Whisper White squares for the butterflies. This was a very fast card to create yet the amount of detail from the embossing and detailed stamp adds interest to this card. This month is your last chance to purchase the Papillon Potpourri set with this assortment of beautiful butterflies used on the card above. This is on the retiring list and you'll want to check out this and other retiring list items, before they're gone. 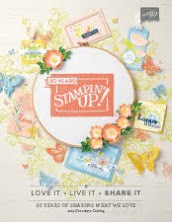 In addition, you'll want to pick up current bundles -- stamp sets and coordinating dies or punches --in the current catalogs now, as many of these will be available as individual items in the new catalog coming out June 1. However, you can save 10% by purchasing these bundles now from the current catalog, at the bundle prices, as these buncle prices will not be available in the new catalog. Let me know if you have any questions about how to purchase your favorite bundles. When accessories on the retiring list sell out, they will no longer be available. However, retiring stamps will be restocked until May 22 and then sold only while they last. See the products retiring May 31, some discounted up to 50%. 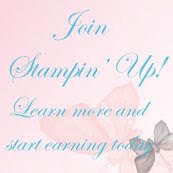 Place your order on my Stampin' Up! site 24 X 7 . May 02 - Preorderds can be placed by Demonstrators from the 2017-2018 Annual Catalog from a limited selection of new catalog merchandise. Demos can access a down-loadable copy of the new June 1 catalog on line at the demonstrator-only website. Your pre-order will allow you to participate in demo-only swaps and you'll have samples to show from the new catalog when it is released June 1. Your pre-order will include a copy of the new catalog, if placed by May 15. Sign up or re-sign up as a demonstrator now so you can order early and also order your new-catalog merchandise at demonstrator-only discount prices. Demostrators who sign up before June 1 can order new catalog pre-order merchandise for their demo kit selections. May 31 - This is the last date to order retiring items from the 2016-2017 yearly catalog and Occasions catalog. Don't wait as many items are selling out. See Retiring Products here. 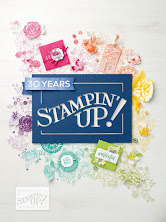 June 01 - Customers can began purchasing from the new Stampin' Up! yearly catalogs. 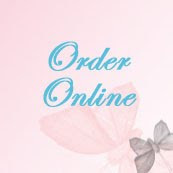 Customers who have purchased from me within the past year, will receive their new catalog from in in late May so you'll have the new catalog in your hands, ready to order June 1 when items from the new catalog become available. I have new catalogs in hand, right now. If you place a $25 order (current catalogs, retiring list items or clearance rack items) between now and June 1, I'll also send you a free, new catalog. November 11, 2017 - Salt Lake City - next OnStage event. Demonstrators can begin planning now to attend the next OnStage event. Enjoy early access to upcoming catalogs, free stamps from the upcoming catalog, and order early with OnStage discounts only available to OnStage live attendees. November 2018 - Orlando - Stampin' Up! 30th Anniversary and OnStage events. The 25th Anniversary in Salt Lake City for demonstrators was a blast, with more prize patrols than usual and special parties. You won't want to miss the celebrations planned for the 30th Anniversary.